Street-side restaurant in Paharganj. 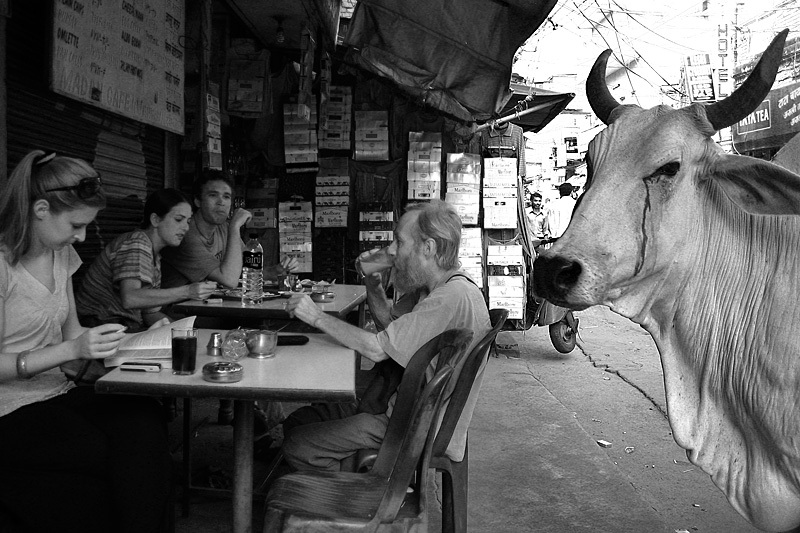 The regular foreign customers don't even bat an eyelash at the occasional bovine beggar. This particular cow comes by at least twice a day for handouts from the restaurant proprietors. She doesn't leave until she gets a snack so, ultimately, she gets her way. 0 COMMENTS - Table For One?